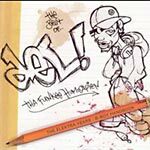 A compilation of the best of Del's years on Elektra, spanning his first two albums and including remixes and b-sides never released before on CD! This is an essential in anyone's west coast hip hop collection!!! !